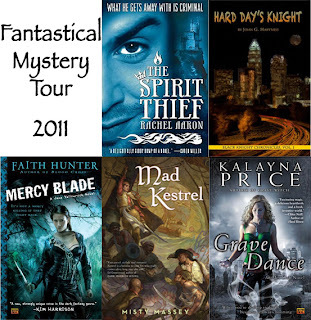 Tonight is the Fantastical Mystery Tour event! Just a quick reminder that tonight is the FANTASTICAL MYSTERY TOUR event at the B&N on Forest Drive in Columbia. This huge, five author event will have two panels, a question and answer session, goodies, a signing, and door prizes--including a FREE NOOK (or equivalent gift card)! 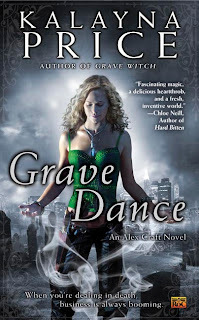 This event also doubles as the official release party for Grave Dance! 5-6pm: Short panel and an open-forum question and answer with the attendees. 6-7:30pm: Book Signing followed by the drawing for door prizes. 7:30-8pm: short panel geared toward writers and those interested in the writing process. Earlier this week, the head minion had a birthday and to celebrate, we ran off for a day at the beach. While walking down the beach, enjoying the sand squishing under foot and the ebbing waves washing over my ankles, I started to think about what that same beach might be like in Alex's world. In her world, more than likely marrow or mermaids would be out amongst the waves or sunning themselves on the rocks. Depending on which folklore you read, that could be a rather delightful sight, or a very dangerous one as the presence mermaids were often thought to foretell storms. Or, other stories tell of them luring mortals into the ocean where they would then drown them and either eat them or trap their souls in pots far beneath the waves. Very deadly indeed. Release day is finally here! GRAVE DANCE should now be available at all major bookstores and about anywhere books are sold online. Here are some convenient links to online sellers, or check your local brick and mortar store. Thank you for reading. I hope you enjoy Alex's continuing story! Happy Fourth of July and Winners! To those in the US, Happy 4th of July. I hope you have a fun (and SAFE--please practice fire safety if you are firing fireworks tonight) fourth of July. And speaking of causes for celebration, GRAVE DANCE hits shelves tomorrow! I can't believe the day is finally almost here. Some of you have let me know that you have already spotted the book on shelves. Thanks for letting me know. I hope you enjoy the Alex's story! Thank you also everyone who helped me spread the word about the release in the "Get the Word Out" contest. It was a big success. Now I think it's time to crank up the random number generator and pull some winners, what do you think? Yeah? Okay. Hey everyone. Just a quick reminder that today is the last day to enter the Get the Word Out contest. Thank you everyone who has already helped me spread the word about next week's release of GRAVE DANCE! Winners will be announced next Monday. In other news, today Alex is acting as a tour guide of Nekros City over at All Things Urban Fantasy for the Deadly Destinations tour. I hope that you'll stop by and check it out this insiders tour of the city.